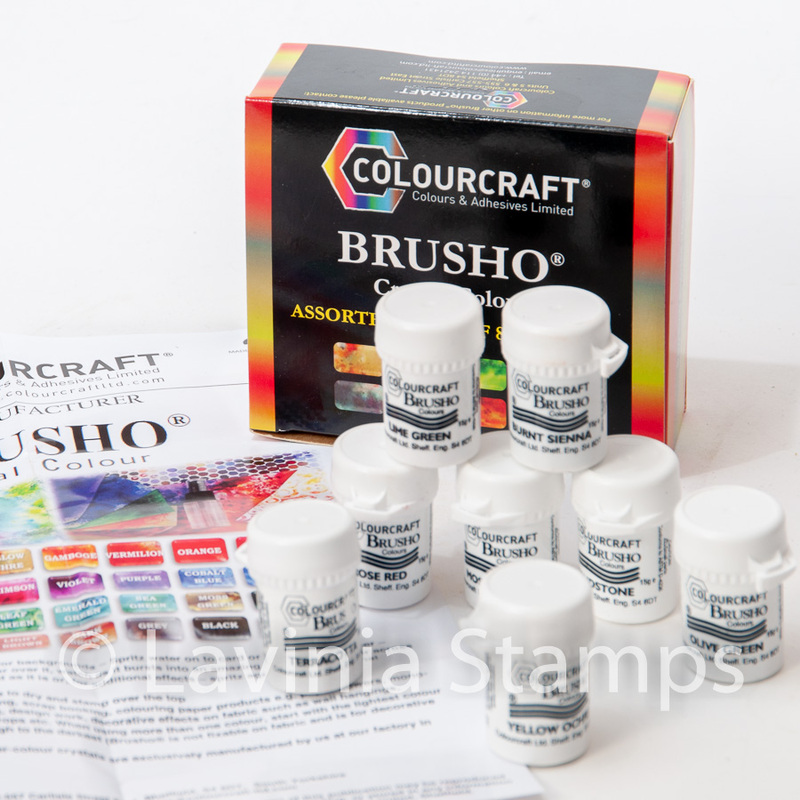 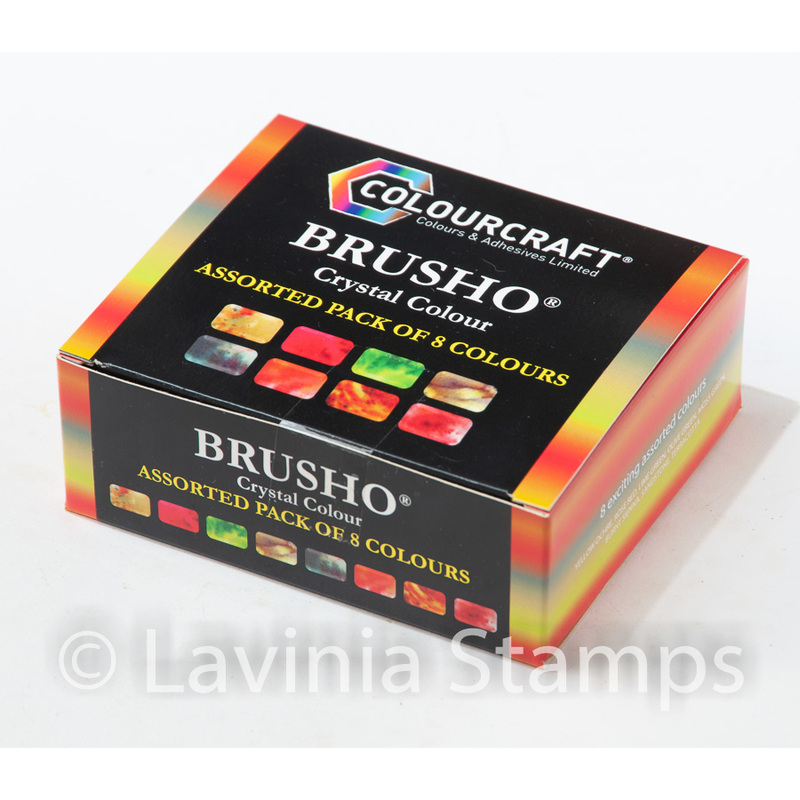 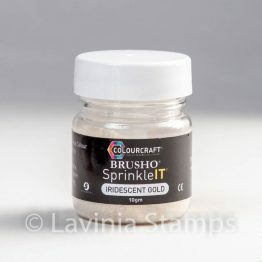 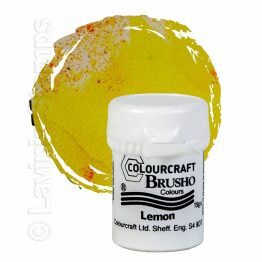 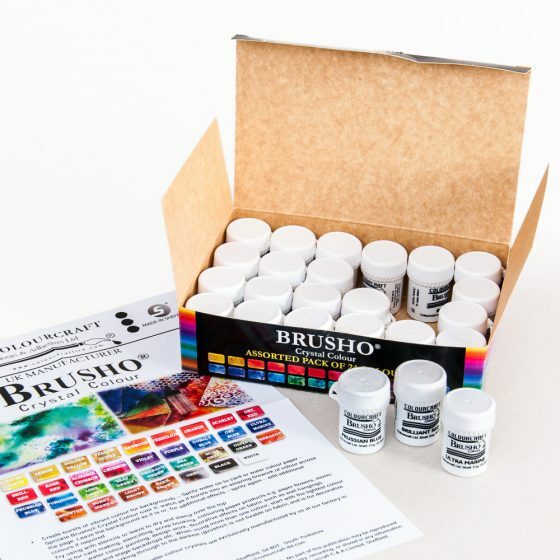 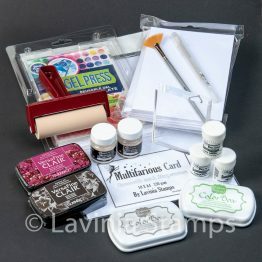 The new Brusho Inks – now available in a set of 8 colours from Lavinia Stamps. 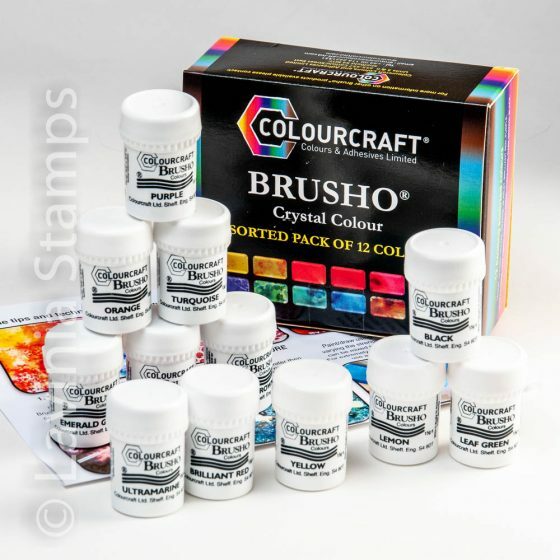 These can be mixed together to create an infinite range of colours. 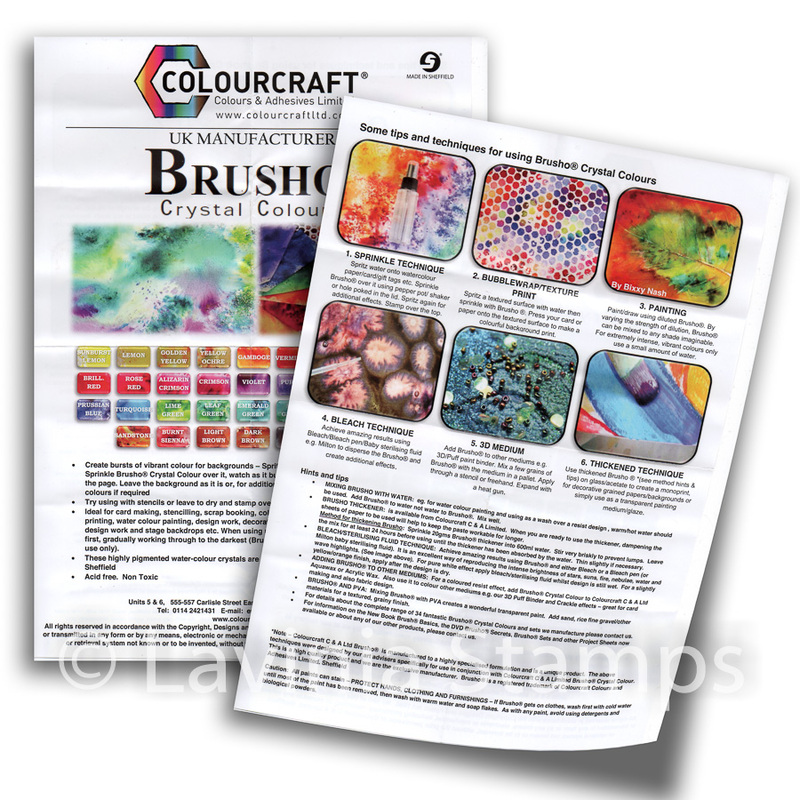 The illustrated leaflet and shade card contains ideas and tips for a simple stippling technique.